This book examines the American television legal series from its development as a genre in the 1940s to the present day. 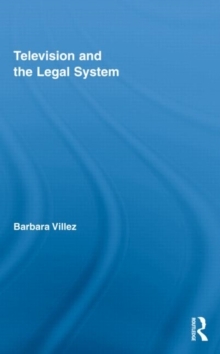 Villez demonstrates how the genre has been a rich source of legal information and understanding for Americans. These series have both informed and put myths in place about the legal system in the US. Villez also contrasts the US to France, which has seen a similar interest in legal series during this period. However, French television representations of justice are strikingly different, as is the role of fiction in offering viewers the possibility of acquiring significant understandings of their legal system. The book will be an important addition to the study of popular culture and law and will interest legal scholars, sociologists, and media scholars.